Over the past ten years, industries such as music, retail, journalism, advertising, and health information have experienced massive and wrenching disruption. Dominant players have been displaced and often marginalized by innovative, entrepreneurial competitors. The same digital transformation has now migrated to more traditional sectors. Just as the Industrial Revolution created distinct winners and losers, so the digital era has led to a climate where individuals, companies, and even entire industries and countries will either thrive or fall hopelessly behind. 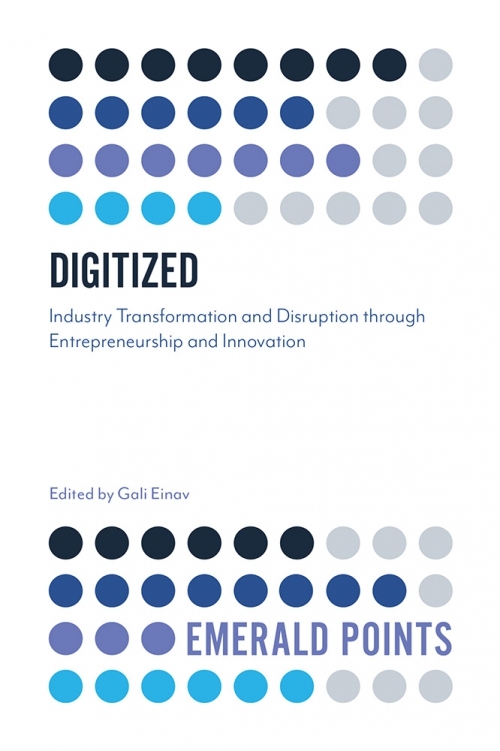 Gali Einav and a strong group of international contributors offer a guide to this brave new world in a timely collection that combines academic insights and entrepreneurial case studies focused on digital innovation. A first section brings together academic thought-leaders to offer in-depth perspectives on changes in the digital domain, and focusing these insights around real-world examples, a second section showcases insights into four technology startups that have disrupted their industries through digital innovation. By exploring the effect of disruptive technologies within media, health, music, and employment, this book helps readers to take their next steps into the digital future. For its combination of academic rigor and practical, real-world case studies, Digitized is essential reading both for researchers of innovation and entrepreneurship and for innovators and entrepreneurs across industries. Gali Einav is Head of the International Undergraduate Program in Entrepreneurship at the Adelson School of Entrepreneurship at IDC Herzliya. She holds a PhD in Interactive Television from Columbia University. She has worked in the Business Planning and Development team at Canoe Ventures, a consortium of US cable operators developing interactive ad formats for live television. Prior to that, Dr. Einav led the Digital Insights and Innovations Research group at NBC Universal, overseeing strategic, business, and consumer research across digital platforms. She was the co-editor of Transitioned Media - A Turning Point into the Digital Realm and co-author of "Consumer Behavior in the Digital TV Environment and Beyond."